The name of this Sage 50 error suggests it all. This error appears when Sage is not able to find enough free space on the hard disk to store data and process it. This can happen for a variety of reasons like. The disk may have the Quota settings on it. According to the problem that you are facing, the solutions differ. All the possible solutions for this error have been provided below. There is not much you can do when running low on Disk Space. You may have to buy or upgrade your disk space or delete some of your data. You can also try disk defragmentation to free up some extra space on your disk. A new window of Disk Defragmentation will appear. Click on Analyse and windows will inform you at most how much space can be freed. Click on optimize to free space on your disk. The fragmented parts of files will be rearranged to free up some space on the disk. Sometimes your disk is damaged due to virus or any other malicious software. There is an easy fix to this problem. Right Click on the disk you want to fix. Click Check under Error Checking. This tool will check for any error and then try to fix it. You may also try restoring the drive to a previous version. For this you need to have a previously created backup of the drive. Click on Restore and browse to the directory of the backup file. Now windows will automatically restore the drive to a previous version. You can also create and restore backup by using a third party software. In settings, you can reserve the amount of data a particular user can store on a disk drive. This makes sure that one particular user does not take all the space in the drive. You can check your Quota settings to find out whether you have disk space that your user account cannot access. Click Apply and ok twice. This will make sure that any user can access all the disk space on this particular drive. There is a chance that some window file may have got damaged due to some malicious software. This may be causing this particular error in Sage 50. You can restore or repair your windows to fix this problem. Create a disk or bootable USB with the windows installation files in it. Windows will automatically start repairing the system files. This can take some time and so you need to have patience. If this method does not work then you might need to restore your windows. Click on Get Started and follow the instructions provided in the wizard. This will delete all the data on windows, so make sure to create a backup of your files. For older versions of window you might have to perform a fresh installation. Error “Not Enough Memory to Continue” Sage 50 also occurs because the BDE settings have not been optimized. Sage uses the Borland DataBase System (BDE) and that is why the settings need to be optimized. Open Run from Start Menu. Under the branches expand software and under it Right Click on Borland. In the Permission for Borland window click on Users and allow full control. This will enable the BDE settings for all users in Windows 7 and above. You can follow the above methods to resolve this particular error and use Sage 50 swiftly and easily. 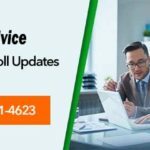 The Sage business accounting software designed by top engineers still is prone to the errors due to genuine reasons of upgrade, update, system requirements, compatibility etc. When you are facing the error “not enough memory to continue” and facing work loss, without delay contact www.accountingadvice.co. 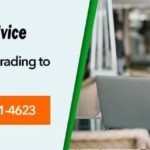 This Sage support agency hires proficient Sage professionals who assure complete resolution in minimum turn-around time (TAT). 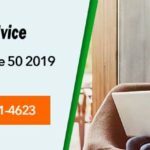 You can even give us a call at our Sage 50 support phone number for USA at ✆ +1800-961-4623 and talk to our advisor now. 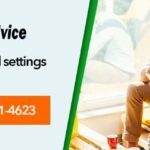 Previous post: How to Fix Sage 50 Error Code 1603?